Erica J. Hashimoto is a Professor of Law at Georgetown University Law Center where she serves as the Director of the Appellate Litigation Program. She has litigated before the United States Courts of Appeals for the D.C., Eleventh, and Fourth Circuits. Prior to joining the Georgetown faculty, she was the Allen Post Professor of Law at the University of Georgia.While there, she started an appellate litigation clinic that accepted appointments from federal courts of appeals, and she was named a Josiah Meigs Professor, the university’s highest teaching honor. 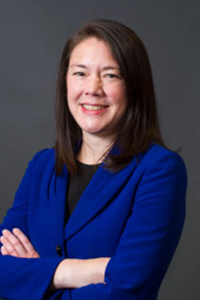 Prior to teaching at the University of Georgia, Professor Hashimoto was an assistant federal public defender in Washington, D.C.She also clerked for the Honorable David S. Tatel of the United States Court of Appeals for the D.C. Circuit and for the Honorable Paul L. Friedman of the United States District Court for the District of Columbia. "Revamping the American Justice System," coverage by The Regulatory Review, November 26, 2018, mentioning Professor Erica Hashimoto. "'Sea Change in the Gaming Landscape' | Georgetown Prof's RBG Shout-Out," coverage in Supreme Court Brief, May 16, 2018, featuring Professor Erica Hashimoto. "Justice Ginsburg’s Groundbreaking Opinion in McCoy Revives Criminal Defendants’ Right to Autonomy," coverage in Slate, May 15, 2018, featuring Professor Erica Hashimoto.